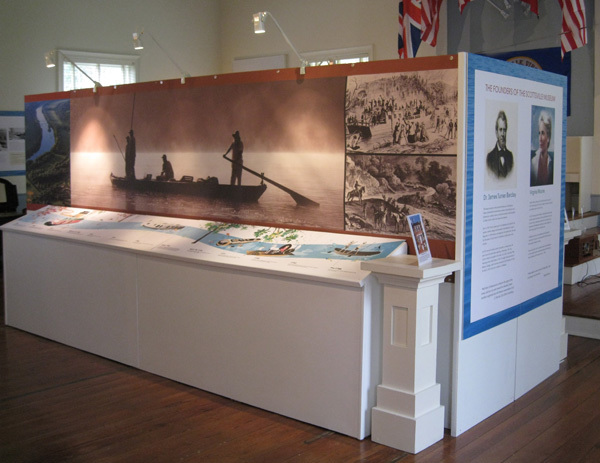 Scottsville Museum proudly presents its exhibit called Where the River Bends: Scottsville and the James. The rolling waters of the James River are ever moving and ever changing, a living symbol of history flowing through time. Throughout history, the river has brought a source of food, transportation, trade, and recreation to our town's inhabitants. Its churning floodwaters, thick with silt, have periodically poured into homes and businesses, requiring Scottsville's resilient people to rebuild time and again. uses of the river today. In the center of the room is a timeline, highlighting events of Scottsville history in both words and pictures. Many new items will be on display as well as some old favorites, such as the 1916 Scottsville fire cart, which was hidden under camouflage during the World War II exhibit of the past three years. Where the River Bends was developed by Julie Schiff and Lauren Turek, University of Virginia students, who worked as Museum interns. 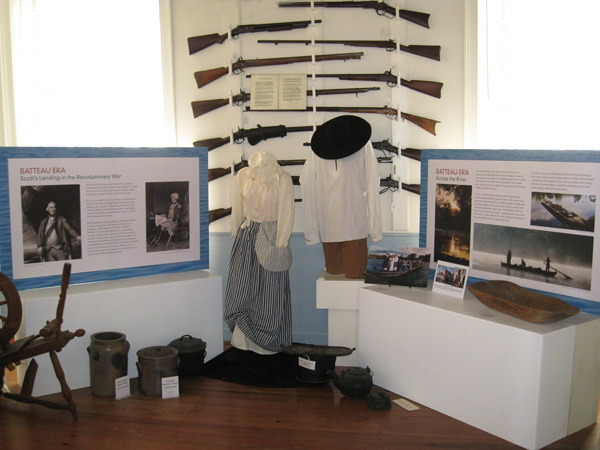 The Museum will be open on Saturdays from 10 to 5 and Sundays from 1 to 5 from April through October. Admission is free, and everyone is welcome. School groups and special tours can be accommodated during the week. Call 434-286-2247 or e-mail the Museum at smuseum@avenue.org to make arrangements.